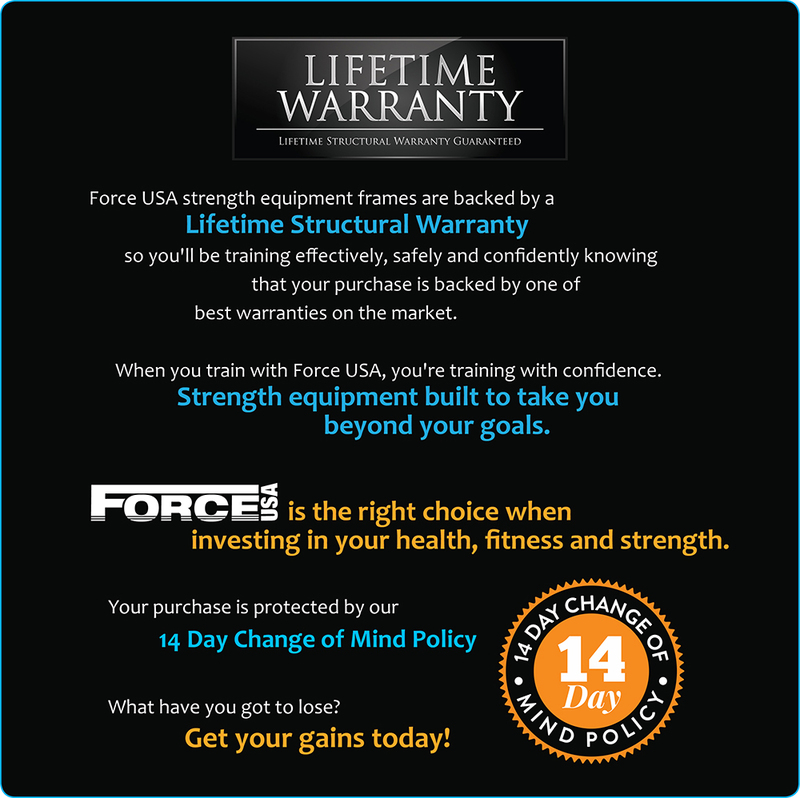 Force USA innovation introduces LeverLift Assist. 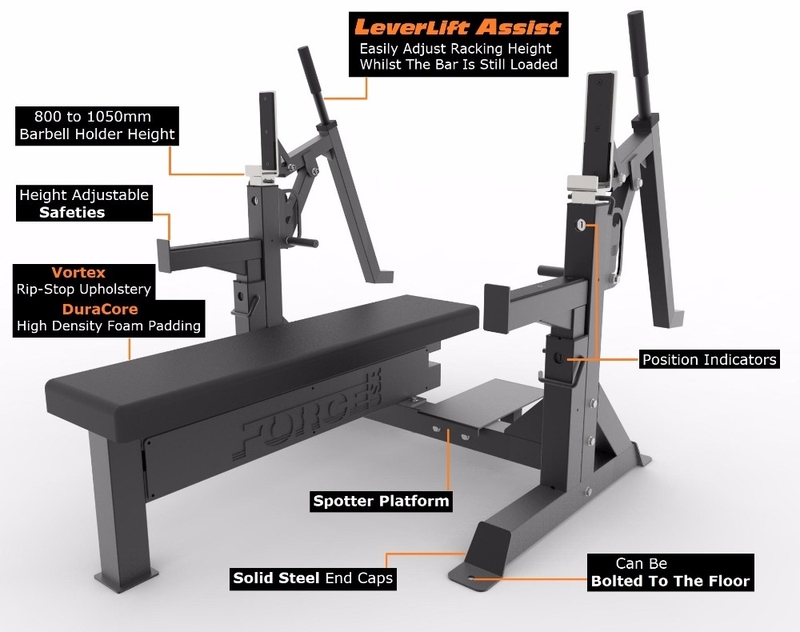 Improve your bench press strength faster with the Heavy Duty Olympic Bench Press built to IPF Spec. 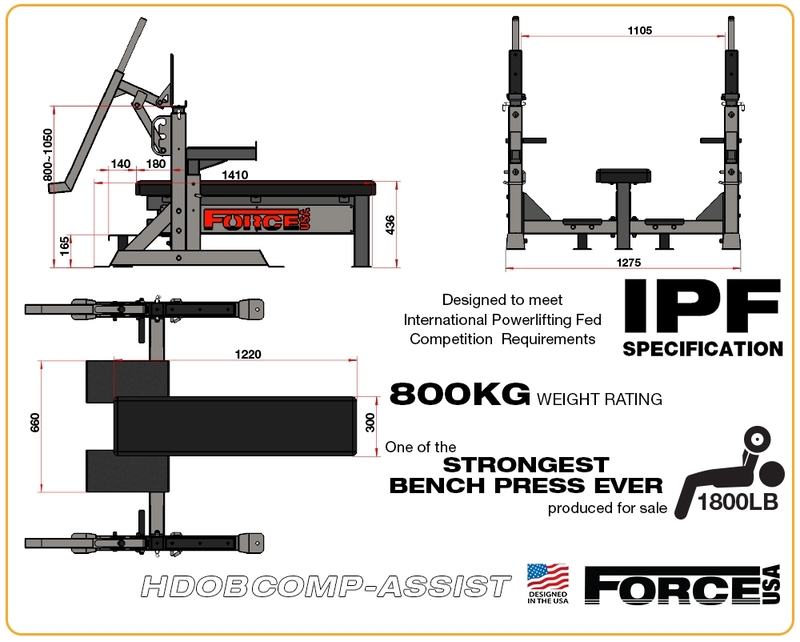 The Force USA Heavy Duty IPF Spec Olympic Bench Press with LeverLift Assist has a massive 800kg Weight Rating! Designed to meet all IPF requirements. This bench is suitable for recognised competition usage. Heavy duty construction high volume regular usage in a commercial environment. Meets Insurance requirements for Commercial Grade usage and backed by our Commercial Warranty. 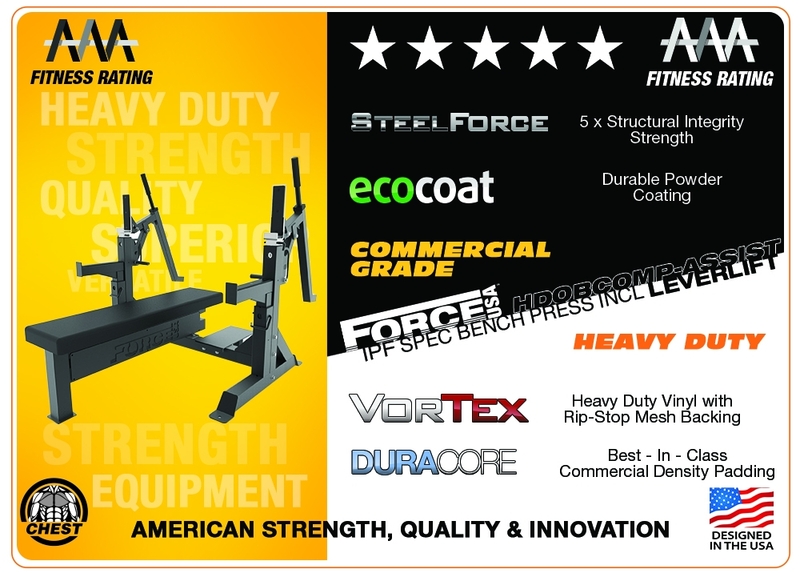 One of the Strongest Bench Press units ever produced. Built tough and built to last. Removing weight plates can interrupt your pump. Keep training effectively and adjust the bar racking height while the barbell is still loaded. The LeverLift Assist component from ForceUSA lets you do this with ease. Two large spotter platforms are supported by frame-to-floor thick steel tubing. So when you go heavy, your training partner can safely spot you with greater leverage when you need it.